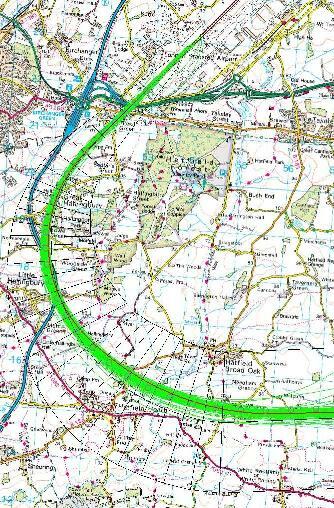 Stansted Airport has today (September 1) launched a public consultation on an innovative new take-off procedure that will reduce the effects of aircraft noise for over 4,000 people living near the airport. Performance Based Navigation uses modern Global Positioning System (GPS) technology that enables aircraft to fly flight paths more accurately when taking off from the airport. Results from a trial on two of the airport’s existing departure routes (Clacton 22 and Detling 04) show that 85% fewer people are directly overflown by aircraft using the new procedure. The airport has been working on the initiative with its consultative committee (STACC), easyJet and NATS (air traffic provider) for over two years. 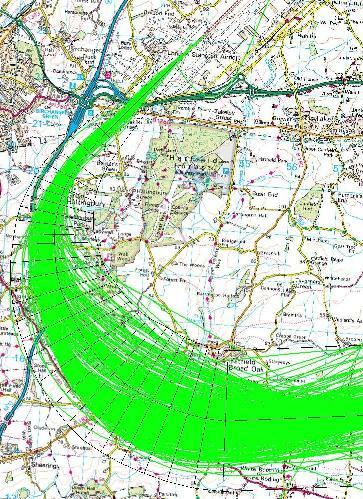 It is now seeking views from the local community to help shape its final proposal before submitting it to the Civil Aviation Authority for approval. 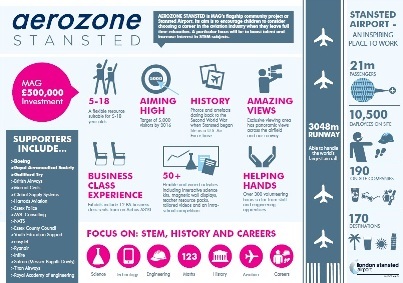 Aerozone Stansted, the airport’s new education centre designed to inspire young people, officially opens its doors today (June 10). The £500,000 learning hub, MAG’s (Manchester Airports Group) flagship community project at Stansted, aims to boost skills in STEM subjects - science, technology, engineering and maths, to tell the story of the airport’s rich history and show visitors the range of exciting careers that are available in aviation. The airport aims to attract over 5,000 youngsters to the centre by 2016. 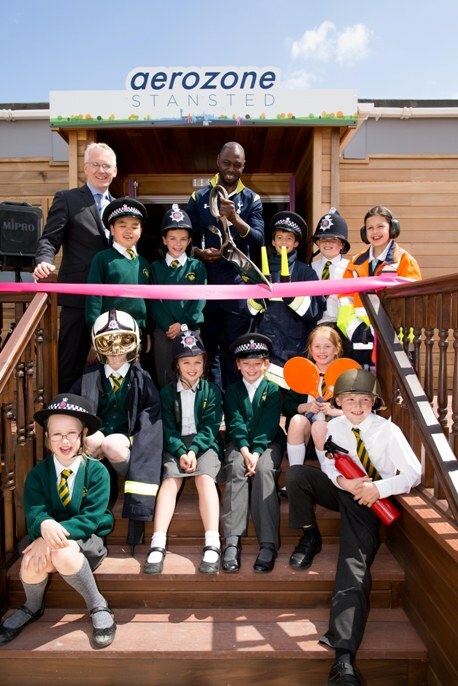 Over 150 community representatives, local councillors, business representatives, local school children and special guest, Tottenham Hotspur legend, Ledley King from the Tottenham Hotspur Foundation will gather at the Aerozone today to mark the official opening. 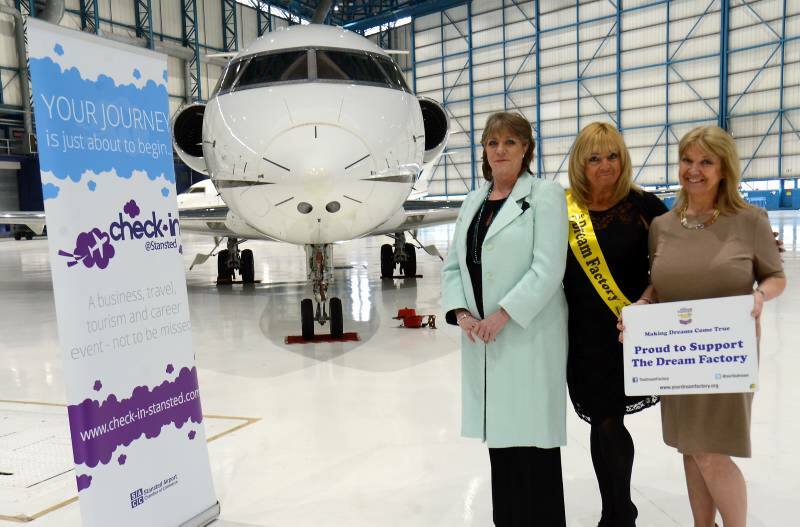 Almost 20 separate businesses and organisations have joined forces with the airport and are supporting the Aerozone project, offering sponsorship and materials to equip the centre including Boeing and Essex County Council. 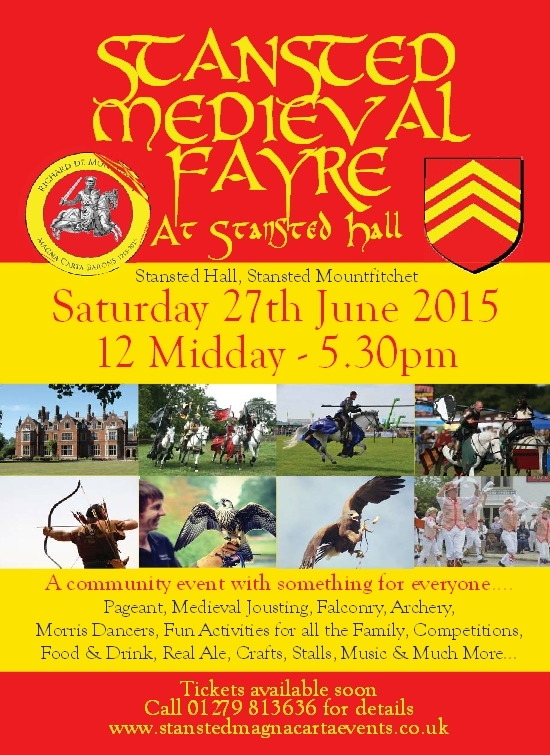 Stansted Mountfitchet is preparing itself to mark the 800th anniversary of the Magna Carta including a medieval fair and a tapestry depicting the history of the village. A re-enactment of the historic signing of the Magna Cara will take place on June 15 at Stansted's Mountfitchet Castle carried out by students from the Joyce Frankland Academy in Newport. 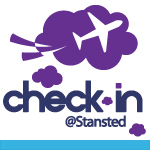 Thursday 18th June 2015 will welcome back Check-in @ Stansted, a business, travel and careers event brought to you by the Stansted Airport Chamber of Commerce and The Sowerby Group Limited. The journey will begin at 10 am at the Diamond Hangar, London Stansted within the hangar itself, surrounded by executive jets flown in from around the world. With the capacity for 62 companies to exhibit plus sponsors, this is a superb opportunity to jump onboard, promote your brand, seize new business opportunities, network with people, meet potential employees and much more! There are two Exhibitor Packages available, for more information visit the website www.check-in-stansted.com, or contact Julie Budden. Companies also have the opportunity to advertise within the show guide and again full details can be found online. Latest exhibitors signed up include Hills Toyota (for the 2nd year running), The British Sausage Company, Harrods Aviation (also returning for the 2nd year), uComply, Eye Airports, Aerofloor and Harlow Enterprise Zone to name but a few. Kim-Marie Freeston from uComply is one of the latest signs ups. She said "In today's world, illegal immigration and identity fraud is rife. And for businesses, it's easy to make costly mistakes. At uComply, we're here to help protect businesses from costly fines and when we heard of the Check-in @ Stansted event, it just seemed right for our business. We cannot wait to exhibit and look forward to showing companies just how we can reduce immigration risk within the workplace. Come and visit us on the day". The Dream Factory will also begin their journey with us at Check-in @ Stansted this year as the nominated charity. Founded by Avril Mills who lost her son Oliver to Acute Lymphoblastic Leukaemia in 1999, at the age of 9, The Dream Factory grants dreams for children and young people aged 3 – 25 years with life threatening and life limiting conditions, or those with severe disabilities. Since the charity started in 2008, it has granted over 300 dreams. This could be anything from an iPad, laptop, TV, garden and room makeovers, helicopter rides, meet and greet famous people and family holidays of a lifetime. Run mainly by volunteers, money raised mainly goes towards helping make dreams come true. 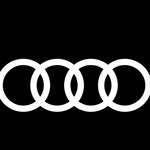 Currently The Dream Factory has a waiting list of 70 dreams and the organisers are hoping to help raise as much money as possible to make these dreams come true. “Check-in @ Stansted is committed to corporate social responsibility. Last year we supported the Essex Air Ambulance and this year, we wanted to support a charity where travel could help make a difference. Finding The Dream Factory, a charity that is extremely appreciative of any extra support – we just felt that it was right. We’ll be running a blind auction to help raise vital funds and hopefully make more dreams come true for those on the waiting list. There will be plenty of FREE parking and transportation links to get you there and also some entertaining surprises on the day as well as the opportunity to see what really goes on inside a Hangar at London Stansted Airport.